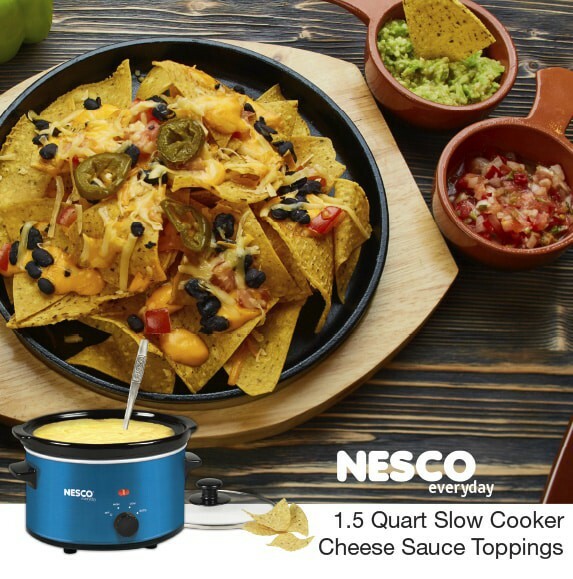 Nothing says “Party” more than a NESCO 1.5 Quart Slow Cooker filled with a warm creamy cheese sauce. Great for spooning over nacho chips, fresh steamed vegetables or potatoes; tasty cheese sauces are always a hit on any party buffet. Let us know some of your favorite cheese sauce toppings!